Glory Johnson is a well known and well decorated Lady Volunteer basketball player. She played under coach Pat Summitt the length of her career earning multiple All-SEC honors . In 2009-2010 her team was SEC regular season and tournament Champions, with a Sweet 16 finish in the NCAA tournament. 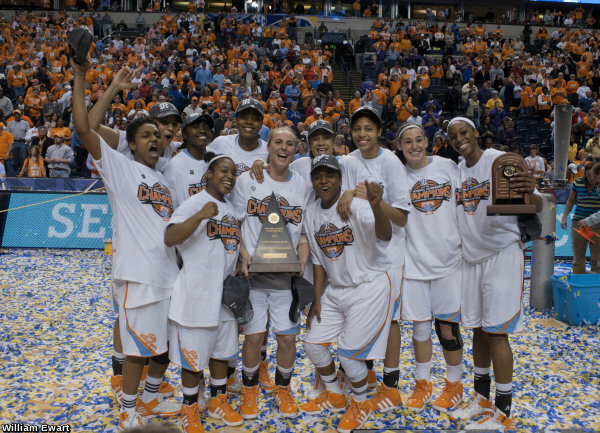 2010-2011 season, the Lady Vols were repeat SEC regular season and tournament Champs, finishing with an Elite 8 appearance in the 2011 NCAA tournament. In Glory’s final season 2011-2012, the Lady Volunteer Basketball team garnered their third consecutive SEC Tournament crown, and once again advanced to the Elite 8. She represented Team USA at the 2011 World University Games in China and is currently playing professionally. 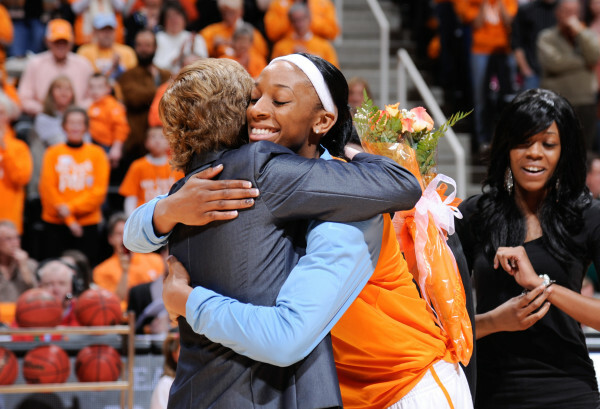 Following her tenure at Tennessee, Glory was selected as the 4th overall 2012 WNBA Draft pick by the Tulsa Shock. In her 2013 and 2014 seasons she was named to the Western Conference All-Star Team. This entry was tagged #bringbackourladyvols, alumni, bring back out lady vols, change.org, collegiate athlete, knoxville, knoxville tennessee, lady vol, lady vol basketball, lady vols, lady volunteer hall of fame, lady volunteers, NCAA, pat head summitt, pat summitt, SEC, sec champions, SEC football, south of france, southeastern conference, student athlete, tennessee, tennessee athletics, tennessee basketball, tennessee football, tennessee lady vol basketball, tennessee lady vols, tennessee lady volunteers, tennessee volleyball, tennessee volunteers, university of tennessee, utad, utk, utvb, volunteers. Bookmark the permalink.